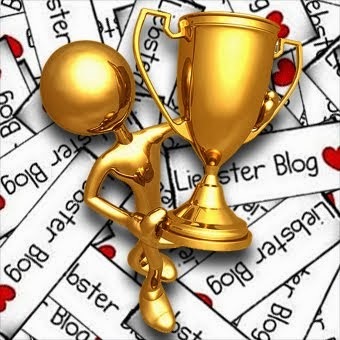 2-In-One- My 1st Liebster & Creative Blogger Award! A month after I privately celebrated my Blog’s first anniversary, I was pleasantly surprised to get my first ever nomination for not just one, but two awards! 2-In-1 Treat! Thanks Preethi, for awarding me both the Liebster Award and the Creative Blogger Award in your Post- THAT WONDERFUL FEELING OF BEING ACKNOWLEDGED! The date September 24, 2013 is a Red-Letter Day for my Blog! I was so overwhelmed, I still am, that it has taken me 1 month and 1 week to respond to Preethi! The past month has been pretty hectic as I have been travelling, suffered from Cyclone Phailin, battled poor Internet connectivity & Laptop problems… Phew! Preethi, Please accept my heartfelt apologies for the delay in the response. There is not a single day I have not reminded myself to Post, and then felt guilty at the end of the day for not having managed to do so! - Excuses! Excuses! (as mentioned above!) Case of - ‘Naach na jaane, aangan tedha!’- One who doesn’t know how to dance, blames the courtyard! - Time-Constraints- Spent the little me-time I have in meeting Blogging-contest-deadlines! - Planning to come up with the best answers! Composing answers in my head and then rejecting them! - I had to nominate 11 Bloggers worthy of the Award! As I love so many Blogs, I felt choosing only 11 awardees would be tough! - Also, I had to ask them 11 Questions! As I have sooo many Questions, what to ask?!!! Ordered my brain to answer ASAP & here I am finally! Liebster is a German word which means sweetest, kindest, nicest, dearest, beloved, lovely, kind, pleasant, valued… and all such synonyms! It is an award given to emerging bloggers who have less than 200 followers… Indeed an acknowledgement & boost! 1. Post 11 facts about ME. 2. Answer the 11 questions the tagger, Preethi, has given me. 3. Tag 11 more Bloggers (with less than 200 followers; no tagging back) and ask 11 questions for them. 4. Tell the people, I tagged, that I did. 1. I love INDIA! I am a die-hard Indian, who has stayed, studied and worked in many cities. If anyone asks me which place I belong, I proudly answer ‘INDIA’! 2. I love Technology! I have worked many years in the field of Software-Education and Development. 4. I love Contests! I am a CONTEST JUNKIE! Winning prizes, awards and badges makes me happy! 6. I love reading Books, newspapers & magazines & Writing- Poems, Stories, Articles… Many of my contributions have been published in leading newspapers & mags. 8. I love Food! I never waste food, not even a grain of rice. I am a no-fuss eater who loves to experiment the new and can adapt anywhere in the world! People say I am a good cook! 9. I love Travelling & Photography! The explorer in me dreams of a world-tour where I’ll take excellent photographs & share my trips with all! As I celebrate Blogging as Blogging Is My Calling! ...& all thanks to Blogging! 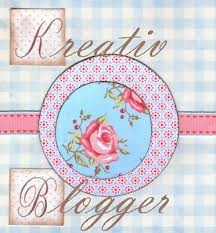 - I get the chance to connect with such amazing fellow-bloggers! Grateful to earn a place in this talented & creative Blogging community & for the recognition & Awards like this! - Everyday is a new learning experience and I have got a great opportunity to grow and evolve. 3. Name One person who has truly inspired you, and has hence led you to change something about yourself. 4. If there is something you would like to change about yourself, what would that be? 5. What is your most prized possession in your room? All my Awards, Certificates, Trophies & Medals & all the (fan)letters I have received so far! Also, my Laptop as it has so many photographs & my written-work, research & ideas! All these are priceless for me! 6. Do you think blogging can help anything in any way? 7. What is the one festival in India you love to celebrate and do you think we still celebrate them in the same spirit as we used to decades back? I love all the festivals of Incredible India! I feel commercialism has crept into festivals today. There is a vast change in the celebration outlook and spirit. But, still, it’s great that we continue to celebrate our festivals even after centuries! I pray that may we be forever united and happily join together in the celebrations. 8. If there is one thing you could do for your country (let's say there are no restraints and what you could do is magical), what would it be? With magic, I’d provide good Roti, Kapdaa, Makaan & Naukri for all. (Naukri or engagement as 'an idle mind is a devil’s workshop'!) I’d also instill good values like Honesty & Integrity, Patriotism etc. I’d ensure every person is highly educated and is blessed with the spirit of being technologically sound and having a questioning & understanding bent of mind. I believe- Education is the key to unlock a better nation. In a highly Civilized Society, there won’t be unemployment, thefts, discrimination, crimes against women etc and other such evils. 9. 3 words that would describe you. 10. Which is the best vacation you have had...and with whom? I have loved all my trips so far! But, I’d rank my visit with my family to Hong Kong Disneyland as the best! Disneyland is the ‘Happiest Place on Earth’! Loved every moment and want to visit again and again! 11. What do you think the future has in store for you? Stay awake so as to make my dreams a reality! Lots of hard-work to construct and drive on the road to my success! 1. When and how did you discover blogging? 2. On an average, how much time do you spend to compose a Blog-Post? 3. Which is your most favorite Blog-Post so far (please share the link) and why do you love it so much? 4. What is the best compliment/comment and Award you have received as a Blogger? D) None of the above as you Blog for yourself & your peace of mind? 6. According to you, what is the purpose of life? 7. Have you heard of the term ‘CSR’? What does CSR mean to you? 8. What is the biggest problem facing the world? What is your solution to save our world? 9. According to you, our ‘Environment’ is whose responsibility? 10. What is that one advice/lesson that you always give or would like to share with all? 11. What is your dream? 2. Answer my 11 questions given above. 4. Tell all the Bloggers, you tagged, that you did. Thanks Lakshmi! Glad that this has been a source of delight! That's so cool, Anil! Heartiest Congratulations to you! Looking forward to read your award-Post soon! I know you have been busy and have lots to Post! Harsha, I am happy to know about all you wonderful folks too! Yes, B.E.Degree is cool enough! My subject is Public Administration. Thanks a lot Uma! Best wishes to you too! Congratulations Anita and thank you for the recognition! ♥ I am honored! Looking forward to your Award Post! Thanks for sharing youe Post! I smiled a lot reading it! Keep up such zest for life & happy-go-lucky humour forever!